Here’s a sneak peek at a new diver’s model from Ocean Crawler that will be released mid to late September. 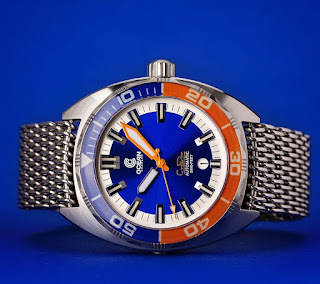 The Core Diver seen here in blue and orange (there will be more color variants) has a classic cushion case measuring 44mm (excluding crown), with a lug-to-lug length of 50mm – not sure on thickness but possibly 16mm or so. Further features of the Core Diver include: a 120-click Sapphire divers bezel, a sunburst blue sandwich dial, a Sellita SW 200 and a water-resistance of 2000 FT / 60 ATM. The Core Diver is presented on Stainless steel shark-mesh bracelet. Thoughts? 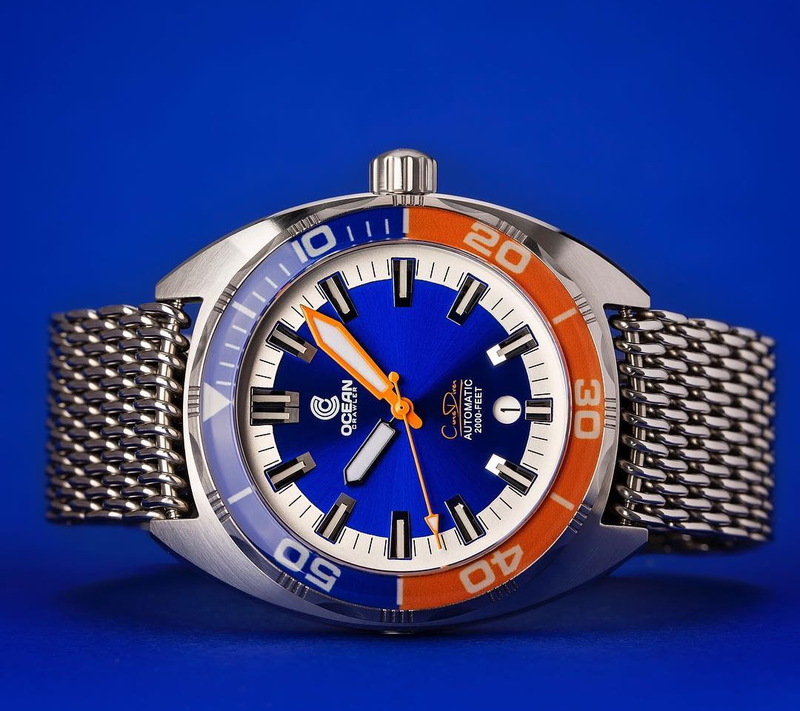 Pretty great looking diver – wonder what its price will be??? I like the look of this one... All depends on the value and quality. Looking forward to seeing what it truly has to offer!